It’s so nice when I get to use the landscapes that I grew up in as a backdrop to some wonderful photography sessions. 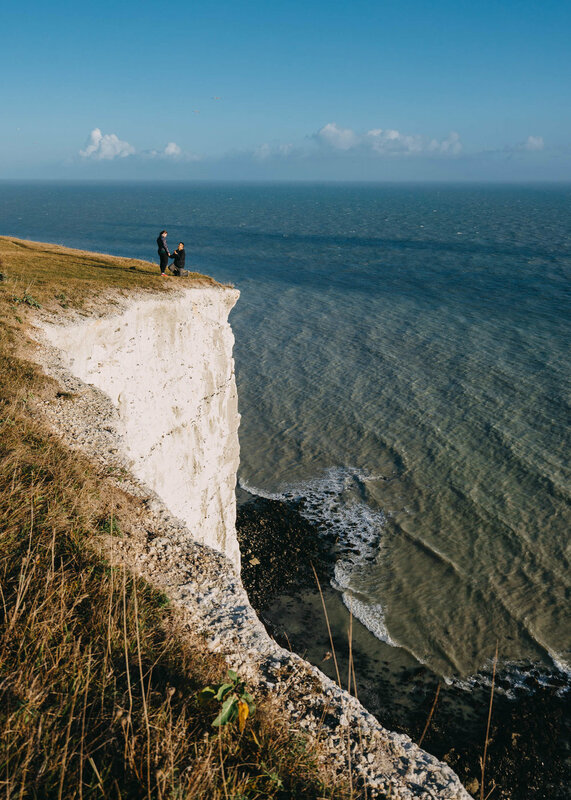 This lovely couple came all the way from Canada to see our beautiful White Cliffs here in Kent. 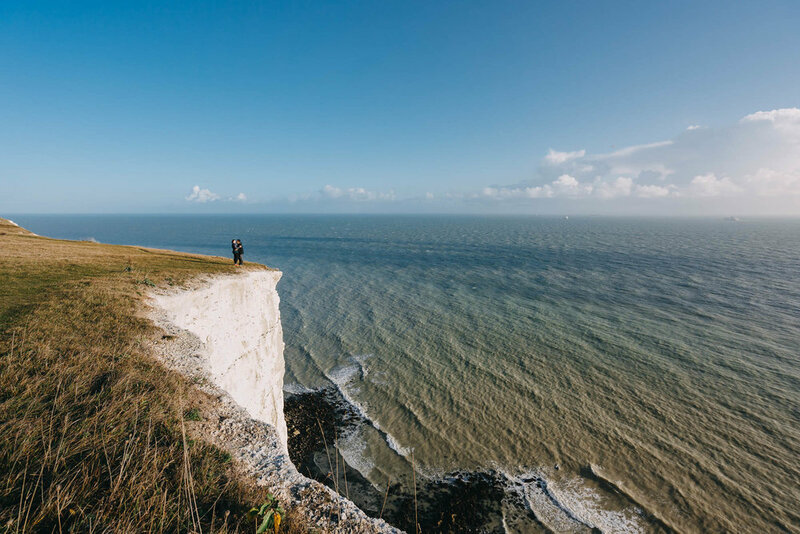 Being keen hikers and lovers of the great outdoors, Sheldon had decided to propose right here on the cliffs. The weather was absolutely perfect and I’m happy to say that Rebecca said YES! 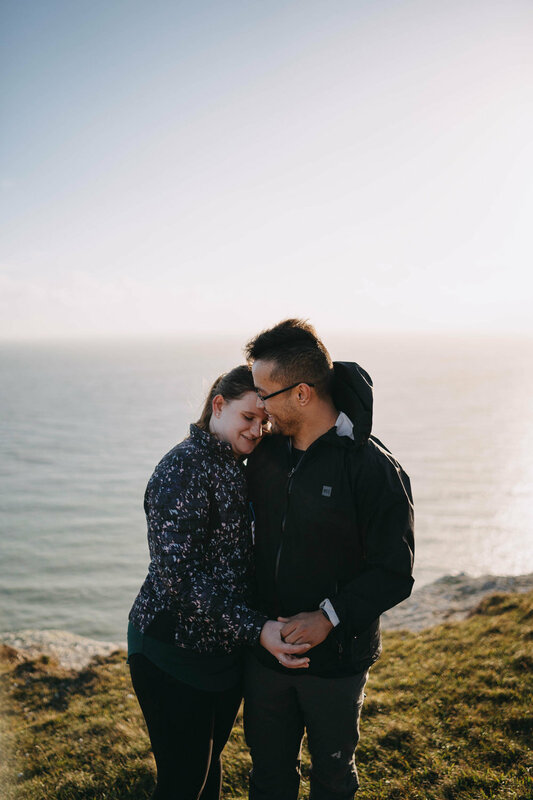 Surprise Proposal Photography sessions are always quite a challenge logistically - once things are set into motion then there is very little way to communicate and things often go much quicker than expected with the nerves on the day! There are two ways to go about a surprise proposal session. 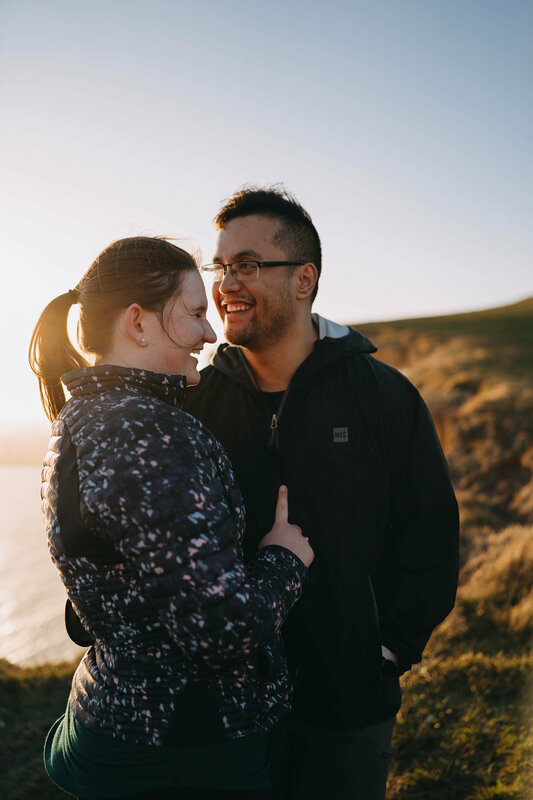 The most simple way is too simply pretend that it’s a normal couples portrait session and we have a simple codeword for when we’re in the right spot! The second way is to make things a complete surprise where I’ll be waiting and signalling a specific spot somehow (putting down my back pack in a certain place) or a pre marked obvious spot on google maps. It’s certainly a buzz for me to capture such a special moment in two peoples lives. 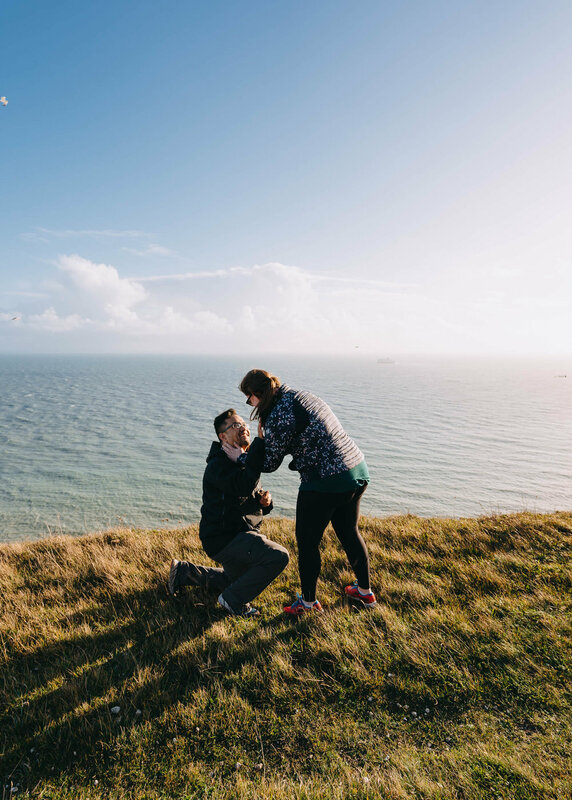 I provide surprise proposal photography services across London (Tower Hill, Greenwich, Pergola Gardens, Westminster) and in the South East - including the famous White Cliffs of Dover. 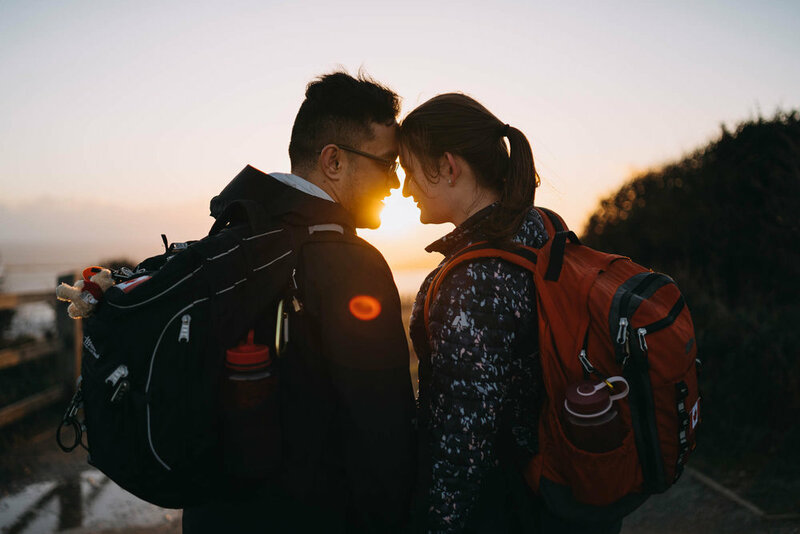 Depending on the location you’ll probably need a 2 hour package - particularly if it involves a hike to get to the right spot but if it’s in a very specific spot in London a mini session can work just fine! Here are a few highlights from this wonderful surprise proposal photography session!